Reliance Jio Phone deliveries have officially begun, according to the company, which says it is focusing on rural areas first, rather than the urban metros. Reports have claimed over 6 million devices will be delivered within the next 15 days. For now, the pre-bookings have not reopened for Reliance JioPhone and it looks like there is some time before this will start. The JioPhone is “free of cost” with Rs 1500 as the refundable deposit amount, which will be returned after three years. However, users will have to get a Rs 153 monthly recharge with the JioPhone, which gives 500MB daily data along with free voice calls, SMS and other benefits. We’ve had a chance to look at the JioPhone and here are top five features to keep in mind about this 4G VoLTE feature phone. 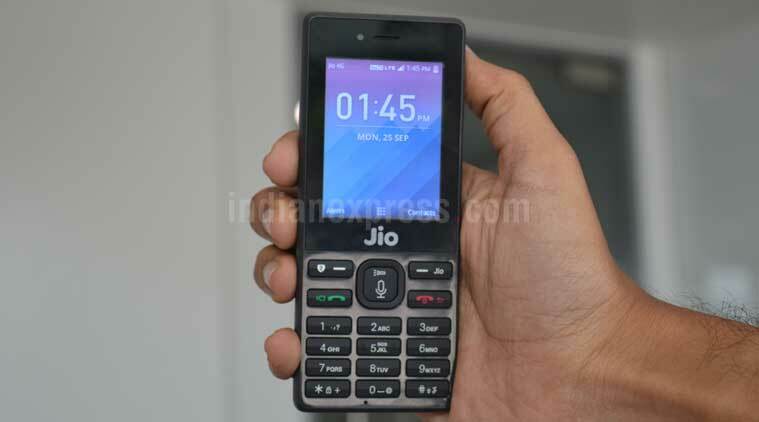 Reliance Jio might be pushing the JioPhone in order to capture the feature phone market and bring more customers online to its 4G VoLTE only network, but it had added one nifty feature to this device. The Jio phone does have the ability to connect to a WiFi in the vicinity. This can be accessed by going to the settings app of the JioPhone. Again while most feature phone users might not always have WiFi in their homes, Jio has ensured the option is present on the phone. However, the ability for Hotspot via the JioPhone is not yet a part of the 4G feature phone. Reliance JioPhone is powered by KaiOS and is based on the Linux Kernel. The app store right now is a Jio one filled with apps from the company. Will third-party apps be coming to JioPhone? This could take place in the future, though nothing has been officially announced. Jio apps like JioTV, JioChat, JioMusic, JioCinema are all pre-loaded on this phone. All of this content is being pulled directly from the Jio network and the company promises no buffering for those who want to watch TV, movies, etc from the apps. So yes, feature phone users will be able to watch television series, movies, etc on this 2.4-inch display. For now the access to Jio’s suite of apps is complimentary. Reliance JioPhone: Will this get Facebook app? And what about WhatsApp? Right now, there is no WhatsApp or Facebook in the JioPhone. Facebook can be accessed on the Reliance JioPhone via the browser. Reliance Jio has indicated a Facebook Lite app could be in the works for the 4G VoLTE feature phone, but there’s no official announcement or timeline regarding this. However, users won’t be able to access WhatsApp on this feature phone for now. Facebook can be accessed on the Reliance JioPhone via the browser. Reliance JioPhone does come with FM Radio, which is an important part of feature phones. Reliance says FM Radio can be used without plugging in headphones in the phone as well. Reliance JioPhone does have Bluetooth 4.1 capabilities supported. This means JioPhone users will be able to share data like pictures, files, etc with other users via Bluetooth. Reliance JioPhone: Does this come with a SIM ? Yes, the JioPhone does come with a SIM included in the box. Users will need an Aadhaar card to get the phone activated and will have to get their eKYC done for the same. JioPhone has a dedicated SIM slot and this is a single SIM smartphone. Also another Jio SIM can be used on this feature phone, though plans might be an issue. However, users can’t put an Airtel, Vodafone, BSNL, IDEA SIM on this feature phone. The only SIM that can be used is from Reliance Jio. Reliance JioPhone: Will one have to keep data on at all times? Yes, this is a 4G VoLTE network and relies on internet connectivity for voice calls, etc. Users can’t switch off mobile data to preserve it because that will just result in loss of network.